Five recipes to help you get your buzz. The caffeine in coffee, tea, and even chocolate can do more than energise your day — it can boost your workout by reducing perceived exertion. So it’s good news that a recent study gives the go-ahead for most adults to consume 400 milligrams caffeine daily, or the amount in three to five cups of coffee. Almonds, in any form, can help propel your distance workout. 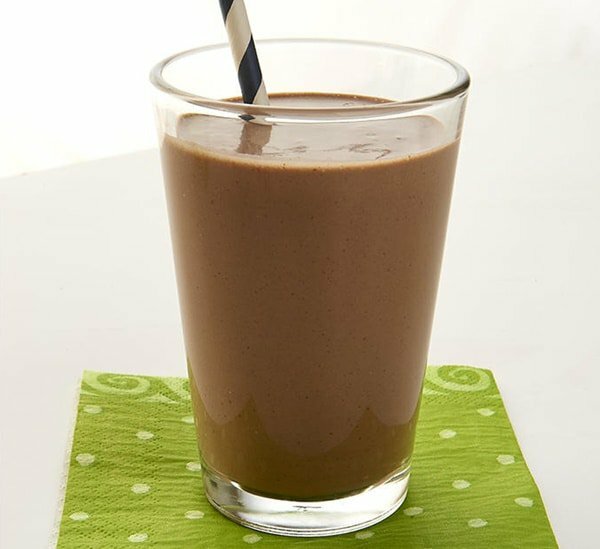 Blend 1 sliced frozen banana with ½ cup unsweetened almond milk, 2 Tbsp. cooled espresso, 1 tsp. unsweetened cocoa powder, and 1 Tbsp. almond butter. Makes 1 cup. Vitamin C–rich cherries get their dark red color from disease-fighting antioxidants. 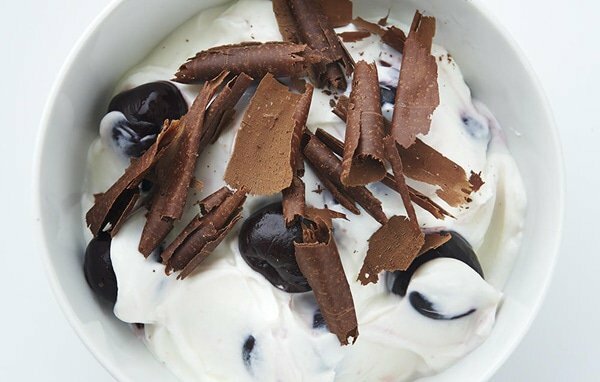 Combine ½ cup 2% plain Greek yogurt with ½ cup defrosted, unsweetened cherries in a bowl. Top with 2 Tbsp. dark chocolate shavings. Stir in honey or maple syrup, if desired. Makes 1 serving. The EGCG flavonoid in green tea may help improve your memory. Heat ½ cup canned light coconut milk with ½ cup cooked brown rice, 1½ tsp. honey, and a pinch of salt. Steep 1 green tea bag in simmered liquid 2 to 3 minutes. 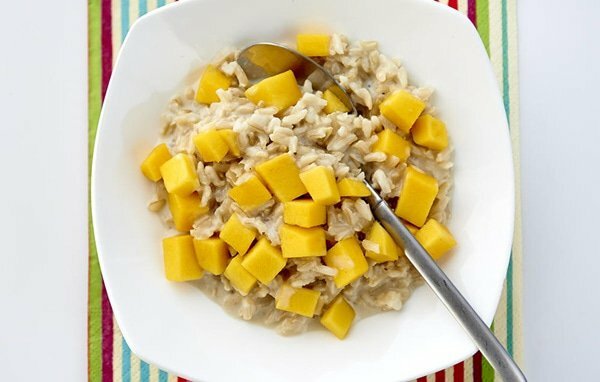 Remove and squeeze tea bag, and stir in ¼ cup diced mango. Eat warm, or cover and refrigerate until cold. 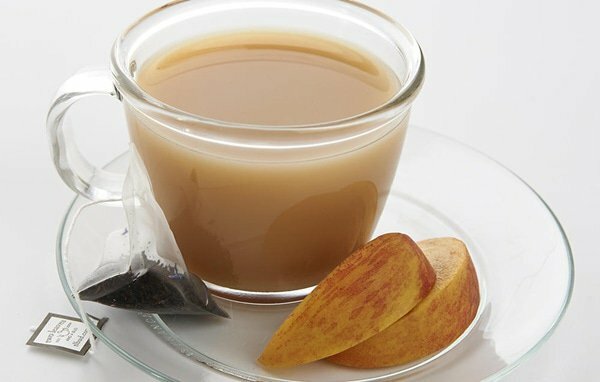 Black tea, such as Earl Grey, can fight cavities by strengthening tooth enamel. Heat 1 cup 2% milk with 1 tsp. vanilla extract. Pour into mug and steep with 1 tea bag for 3 to 4 minutes. Serve with 1 peach. Makes 1 serving. 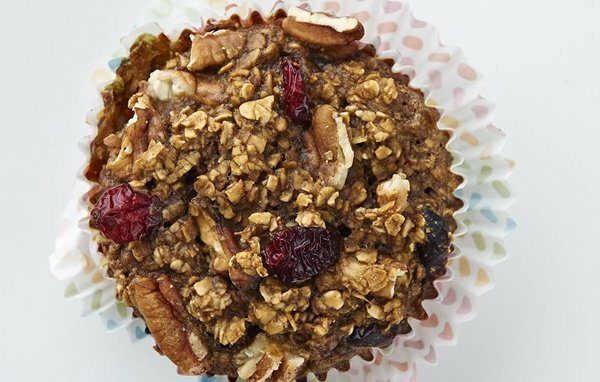 Oatmeal is packed with soluble fibre, which has been shown to reduce blood pressure. Mix 2 large eggs with 1¼ cups 2% milk, ¾ cup unsweetened apple sauce, 2 tsp. vanilla extract, and 3 Tbsp. honey in a bowl. Stir in 3 cups quick-cooking oats, 1 tsp. baking soda, 1½ Tbsp. instant coffee, 1½ tsp. cinnamon, and a pinch of salt. Combine with ⅔ cup dried cranberries and ½ cup chopped pecans. Pour into greased muffin tin and bake for 20 minutes at 350 degrees. Makes 12 servings.